Ishka was born in 1982, and grew up on a ranch atop the rolling hills of northern California. She started drawing as soon as she could pick up a pencil, and received significant artistic instruction and encouragement from her mother and father. She earned a Professional B.A. in Architecture, but promptly set her course for a career as an artist upon graduation. Since then, Ishka has travelled across the U.S. and abroad, expanding her worldview, and using every opportunity available to absorb spiritual guidance and inspiration for her creations. Her work is primarily featured in various private collections, galleries, gift shops, cafés, and sacred art and music festivals along the west coast. 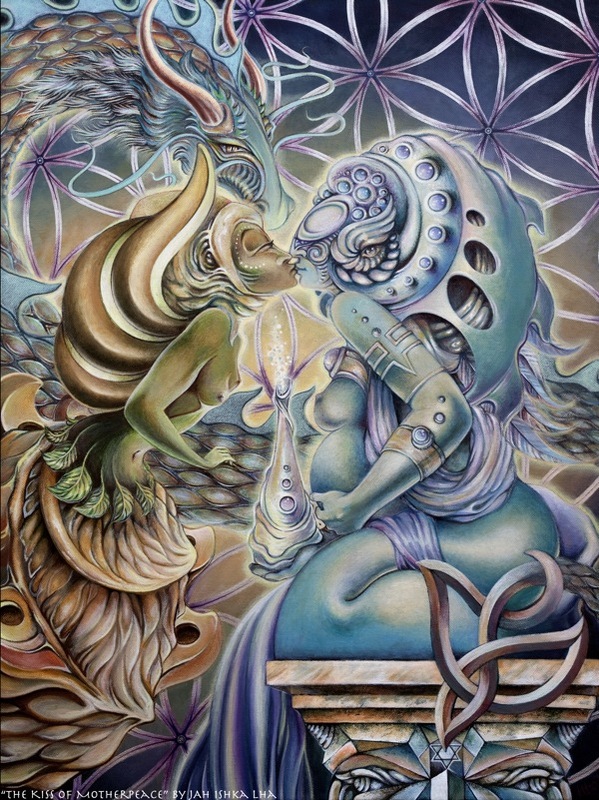 Ishka’s art explores and celebrates the natural radiance inherent in all dimensions of life through the use of neo-traditional iconography, archetypes and symbols, sacred geometry, dreams, ritual, legend, and prophecy. She is part of a growing movement in the art world that is dedicated to the enlightenment of all beings. She acknowledges her responsibility as an artist to encourage the evolution of our global community and beyond, and treats her creative process as a spiritual practice. Your donation will go to support grants and scholarships for Artists, as well as projects to bring Visionary Arts to the mainstream. What are the Visionary Arts?